Atelier’s successful Spring Festival activities return this year with four weeks of brand new workshops beginning the last week of January. These lessons have gone far beyond the limits of creativity and Atelier continues the trend of workshops mixing art, engineering, history, and literature, taking the kids on a journey through art history. Kids 9+. How does architecture influence our cities and the way we live? What do we need to consider when we’re designing buildings? 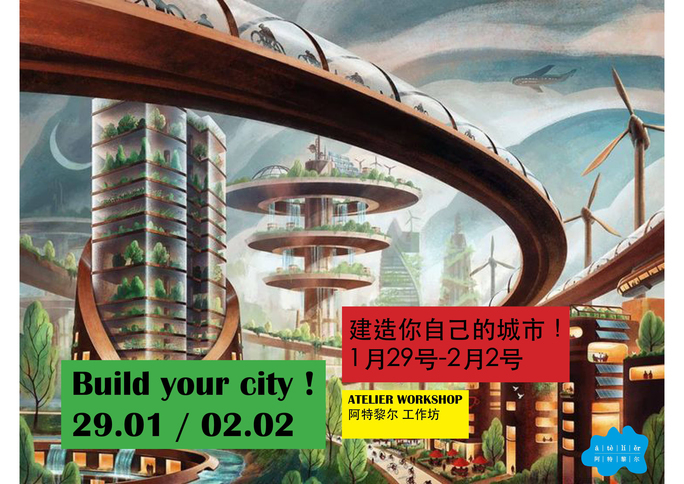 Students will explore and inspire themselves with art and comic creation to build together a futurist city. They will discover urban design thinking and create the model of a city in a larger scale: groups of buildings, streets, public spaces, transportation hubs, districts, keeping in mind the goal of making urban areas functional, attractive, and sustainable. In this workshop, kids will learn more about painting, sculpting, modeling, and light electronics. 10am-4pm. RMB 4,000. Note that students need to bring their own lunch. Kids 9+. Build your 3D printer from scratch and go back home with your new tool. During this workshop, students will understand the fundamentals of 3D printing while making their own 3D printing machine. This comprehensive workshop enables and empowers its users, it gives access to a new culture, more particularly to the digital and the DIY cultures. After building their printer, students will design innovative objects to be built with their new 3D printer. 10am-4pm (including 1 hour for lunch). RMB 4,000 (plus RMB 1,000 to take the printer home). Atelier Sanlitun campus. Note that students need to bring their own lunch and computer. Kids 5+. Discover one of the major painters of the 20th century, Vincent Van Gogh, a Dutch post-Impressionist painter who is among the most famous and influential figures in the history of Western art. Each day, the students will learn one topic related to masterpieces Van Gogh created. 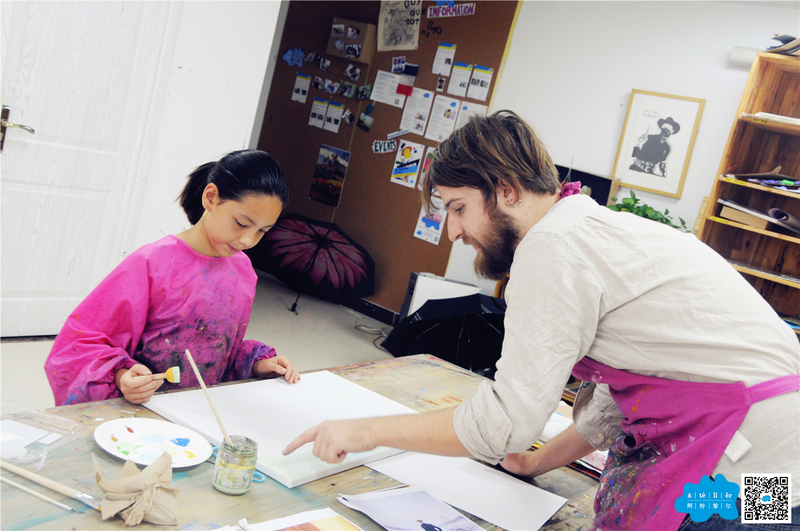 Students will also learn the techniques of painting, drawing, printing, impasto, and 3D modeling. For the complete timeline of activities, visit this page. 10am-noon (5-8 years old), 1.30-4pm (kids 9 and above). RMB 1,800 (5-8 age group), RMB 2,000 (9+ age group). Atelier Sanlitun campus. Kids 5+. From ancient stone monuments to recyclable plastic installations, people have always tried to reshape the world in skilled and thoughtful ways. Over one week, the students will look at sculpting through the ages, and across some wildly different styles. Each day the students will focus on a different technique and learn when it’s appropriate to use and which artists have used it to good effect. Join and learn how to create something that will stand the test of time. 10am-noon (5-8 years old), 1.30-4pm (kids 9 and above). RMB 1,800 (5-8 age group), RMB 2,000 (9+ age group). The workshops will take place at Sanlitun (with teachers Louise and Guillaume) and Shunyi (with teacher Tom) campuses. Kids 9+. The Machines of the Isle of Nantes (Les Machines de l’Île) is an artistic and cultural project opened in Nantes, France in July 2007. The machines, created by two artists, François Delarozière and Pierre Orefice, are at the crossroads of Jules Verne’s invented worlds and the mechanical universe of Leonardo da Vinci. In 2014, the machines came to Beijing to present the Dragon Horse (龙马精神, from French, “L’esprit du cheval dragon”), created by French craftsmen in just a year. The wooden dragon is 13m long and weighs 45 tonnes, and is capable of walking, lying down, or even releasing smoke out of its nostrils. The show took place at the Olympic Park in front of an astounded audience. In this workshop, students will discover this marvelous world and imagine a carousel inspired by the mechanical Machines of the Isle world. 10am-4pm (including one hour for lunch). RMB 4,000 (students need to bring their own lunch). Atelier Sanlitun campus. Kids 9+. Ever wanted to create your own remote-controlled vehicle but you think it is too complex? 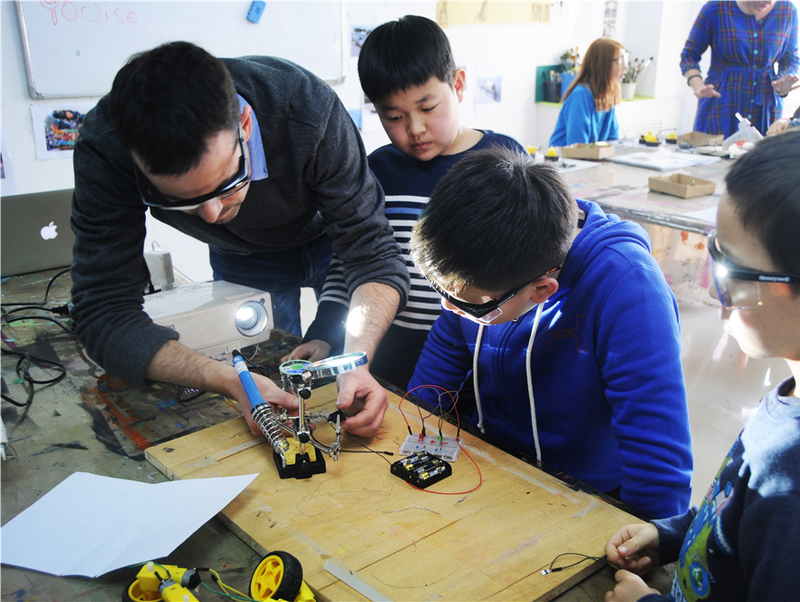 Join Atelier Fablab to design and build your own creation, like a car, a robotic arm, or a boat. During this five-day workshop, students will imagine their own original vehicle and learn the basics of electronics and coding applied to robotics and vehicle. Part of the vehicle can be machined using a laser cutting machine and/or numerical controlled milling machine. This workshop is a creative mix of coding, experimentation, and construction. 10am-4pm (including 1 hour for lunch). RMB 4,000. Atelier Sanlitun campus. Note that students need to bring their own lunch and computer. Kids 5+. Discover “A Journey to the center of the Earth,” a famous book wrote by Jules Vernes in 1864. The story involves German professor Otto Lidenbrock who believes there are volcanic tubes going toward the center of Earth. He, his nephew Axel, and their guide Hans descend into the Icelandic volcano Snæfellsjökull, encountering many adventures, including prehistoric animals and natural hazards, before eventually coming to the surface again in southern Italy, at the Stromboli volcano. The students will create a model of the earth crust and design the inside following the adventures of the book. 10am-noon (5-8 years old), 1.30-4pm (kids 9 and above). RMB 1,800 (5-8 age group), RMB 2,000 (9+ age group). The workshops will take place at Sanlitun (with teacher Tom) and Shunyi (with teacher Louise) campuses.